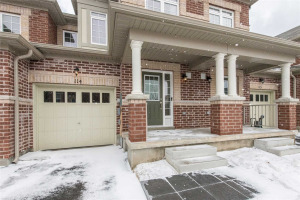 Charming & Adorable Ascot Model Just Over 1500 Sqft, First Time Home Buyers Here Is One You Have Been Waiting For!!! Premium Lot, No Neighbours Behind The Property. Loaded With 9 Ft Ceilings, Hardwood On The Main Floor!! 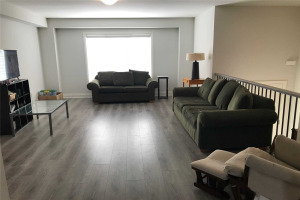 !, Open Concept Floor Plan With Great Sense Of Flowing Space, Spacious & Bright Great Room, Huge Centre Island & Spacious Eat-In Area, Walk-Out From Breakfast Area To Deck Ultra High Efficiency Furnace & A/C **24 Hours For All Showings.